What is New Game! Season 2? The continuation of the New Game! That was originally came out in the 2016. The story follows Suzukaze Aoba and her exploits in her game company of Eagle Jump, where she will be joined by new cast and is going to create a new game. So, what do I think about it? 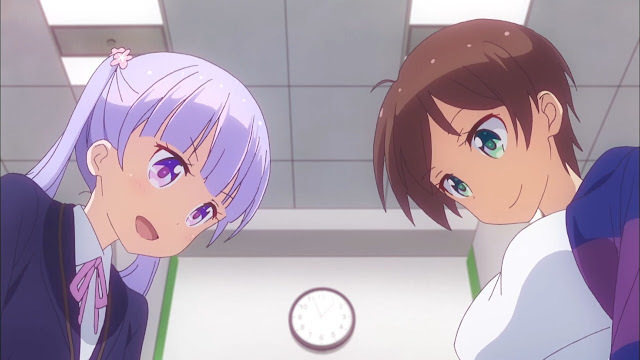 And here we are again, 2017 and I am already watching the sequel of New Game! I am totally caught by surprise when Doga Kobo announced the continuation and was pleased to see it finally on the screen. Looks like 2017 is really the year of sequels, eh? Anyway, I just finished watching it last week and was totally in awe by how far the series have taken itself. 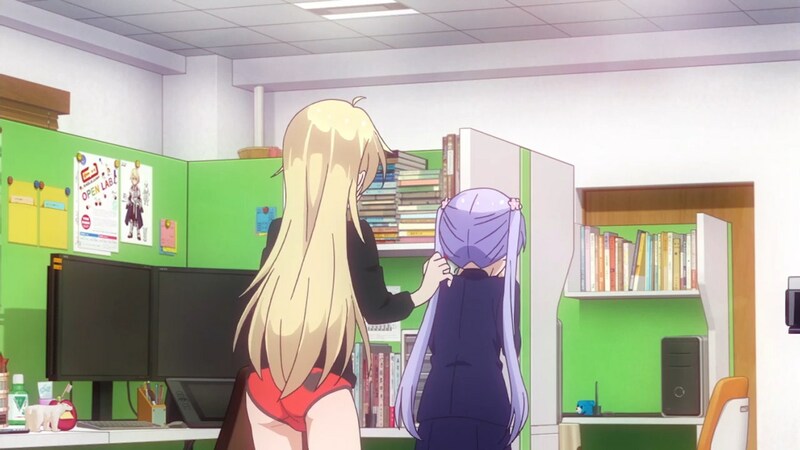 The series started once again with the shot of Yagami’s underwear, and this time, it was an extended version of it’s original one. Seeing that, I was a little bit put off, since I think New Game’s supposed fanservice are needless in the first season and that time, I thought that if the anime is going to focus on putting in a lot of fanservice, then it’s going to be a letdown. Aside from the blatant fanservice shots and costumes, there are several low-angle cameraworks, which focuses on Hajime and Hifumi, that I am not fond of, since it is a rather out of sight fanservice to me. And yes, while the fanservice is more abundant than before, as the character with the ample body gets a lot of fanservices during the progression of the story, it could not really match the actual improvement of the series. The fanservice are even abundant than before. And with an added low-key cameraworks featuring Hajime and others. The series’ improvement as a whole is it’s apparent focus on capitalizing the dramatical aspect that was found in the manga series. I’ve actually read the New Game manga from the beginning and was shocked when I found out that the manga was putting some remarkable dramatical aspect that totally impacted the character, and the anime saw fit to pick that up and continue the trend as well. 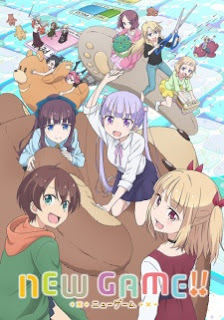 For a series which was marketed as a comedic slice of life series, this came as a total surprise to both the audiences and reviewers alike, as that focus allowed the series to flesh out the character really well, but still keeping the comedic aspect that makes New Game what it is. It does not lose any of it’s original identity, instead, it improves upon it, and was a welcome addition. As I said, since the comedy was traded for a better storytelling, the comedy seems a bit weaker and less frequent than in the first season. 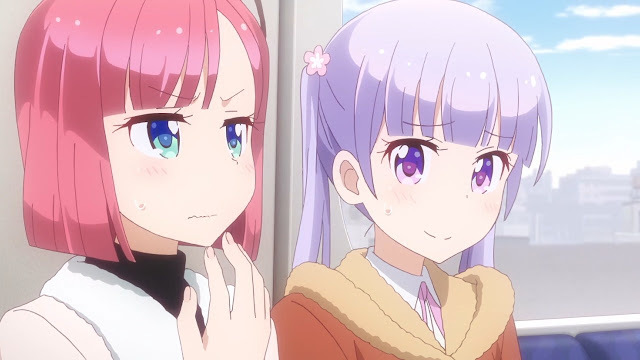 Despite all that, the comedy can still incite a bit of laughter since New Game is really adept at creating a great comedic situation, largely thanks to it’s colorful cast. The character development gets a total nod for the series. The chemistry of all the character are improved very well and they are even more fun to watch now than in the first season. 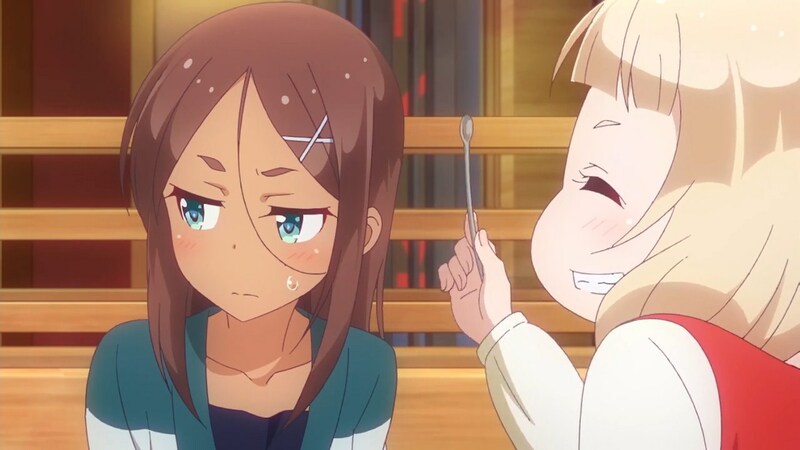 Kudos to the chemistry between Nene and Umiko, which had me looking for them all over during every instances of watching the new episodes of this sequel. Nene and Umiko's chemistry remained the most must-see in the show. And like I said, the character development was really well-done here, as each and every character received their own focus part so that their character can be fleshed out for us to understand. This was the right move to use, as the first season was used to introduce most of the main cast, the second season should be used to flesh out their character very well so we can understand them. In my opinion, any anime that is going to have a second season should put this mindset into production before going through with it. 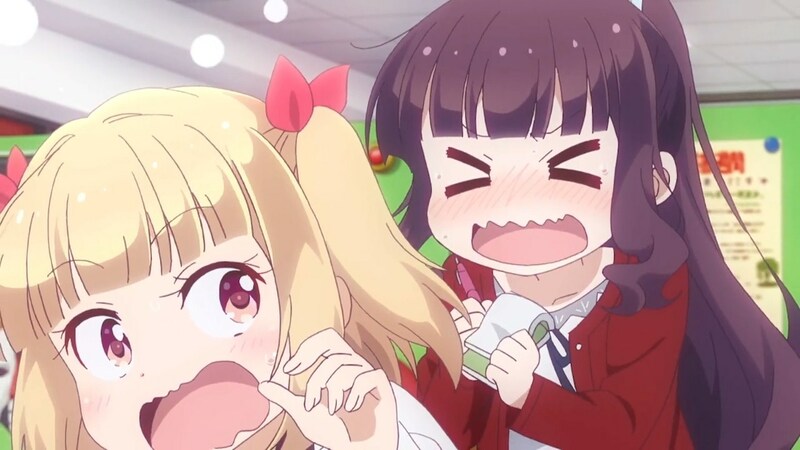 For example, the naturally shy and introvert Hifumi was given so much development time that she became much more expressive and actually cares about others in the second season and much more lovable than before. 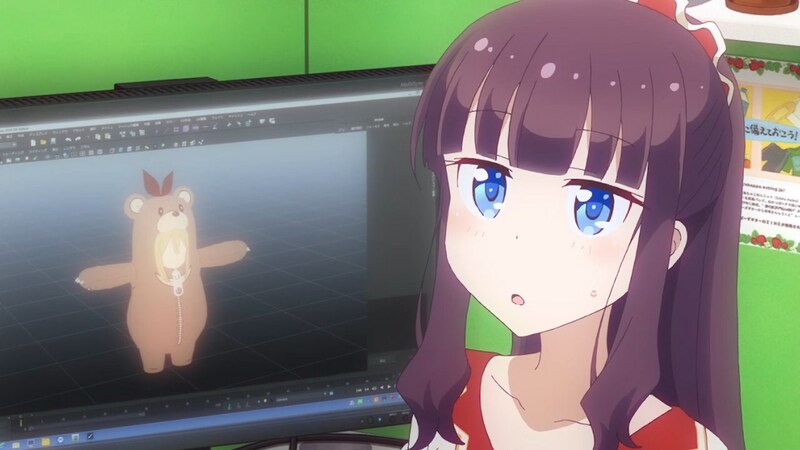 At first, I was caught by surprise of how much focus was put on Hifumi and almost thought that she was the new character of the series that replaces Aoba completely, as the first half of the series places her much more in the center and largely ignored Aoba altogether, though the second half of the series finally places her back into the focus. 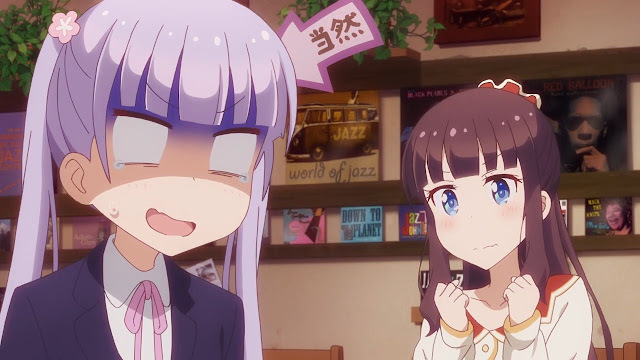 Aoba, on the other hand, was focused heavily during the second half of the series and during several bits of the first half. 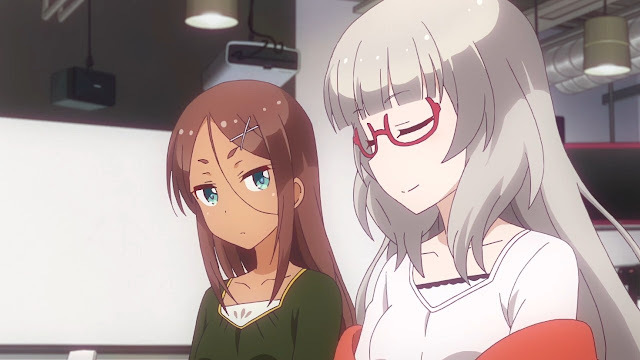 During the first half of the series, her proposal of new game was through but she was aware of how her lack of contributions in that project and was bothered by it. However, she resolves her own problem and was able to mature perfectly in the second season. Hifumi was given much of the spotlight during the first half. 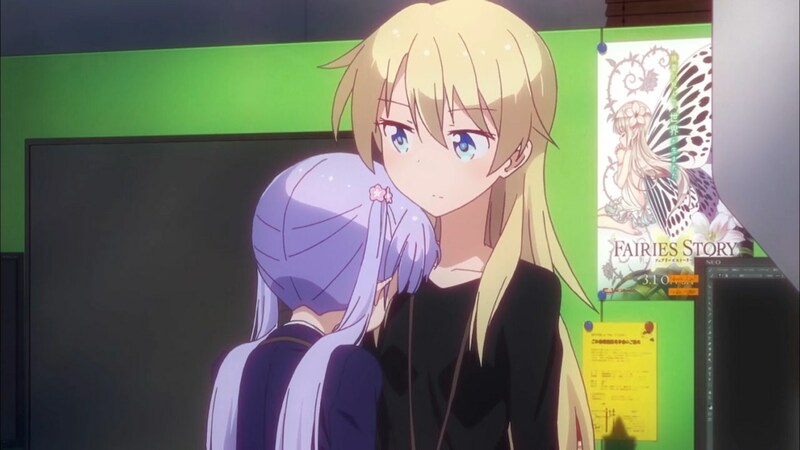 Though Aoba gets her own focus later. However, there was still someone who provided support that she can only do best, Hazuki Shizuku. Hazuki remains playing her bits in the background, all while providing the support to the main cast, regardless of the hardship that they are facing. Like before, she appears sporadically, but whenever she shows up, it’s not just for laugh all the time and she was providing the cast with the help that she knows that only she can give. It was her who helped new character in the series break the ice with the main cast, and it was her who gives the main cast the push that they need to become better. Hats off to her for remaining relevant whilst still in the background. Hazuki remains a background support, a role she shines at. Not just them though, the rest of the cast are given their ample time to develop their characters very well and by the end of this sequel, we all know how relevant their character and how we all can relate to them and actually cares about them. I can spend pages and pages talking about characters, but for now, let’s stop talking about the main cast and focus on the newer character that arrived in the series. There are 3 new characters for this sequel, though all of them finally settles in the second half of the series. The French-born Yamato was the first character introduced and she makes a negative impact as soon as she appears by getting on the team’s bad side. Although, due to the interference from someone who excels at giving support to troubled character, she was finally able to befriend the team. There are several inclusion of new characters, such as Yamato. As well as Naru and Momiji, a new employee of Eaglejump. She was not the most impactful new character though. 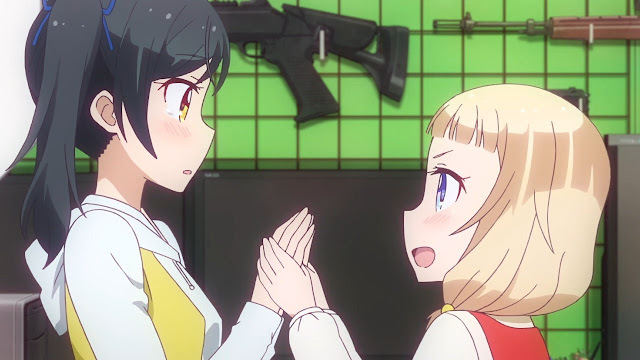 It was Momiji and Naru that carries more impact and value in this second season. Both of them was hiding their true intention for the remaining second half up until the end and were irritating at certain point. 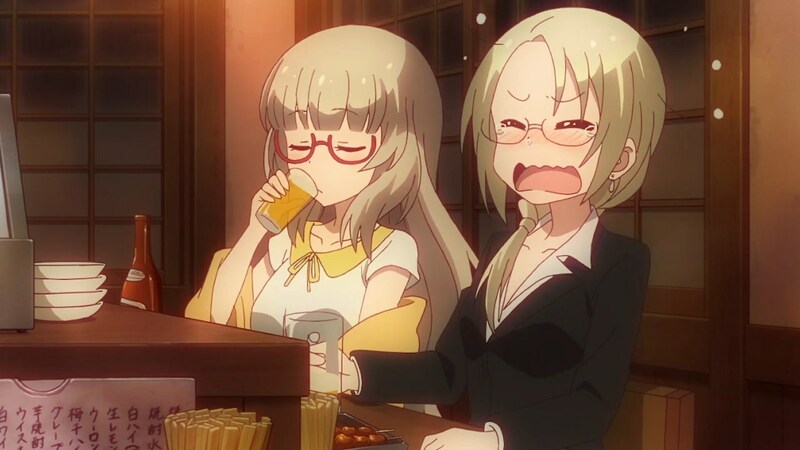 Momiji had embedded in her mindset to expel a hostile aura whenever she is with Aoba, and Naru had this very condescending attitude where she just shots down Nene with her mean comments, though Nene was able to power through those mean comments with her sheer positivity. In the end, we all learned of why their character was so irritating and condescending later in the series, and all that negativity and disdain I had for them suddenly dissipates as I learned their reasoning for such behavior. That marks a well-written character development there. At first, we hated them, though later, due to a sheer writing value that sees them develop their character pretty well, we all can set aside our disdain toward them and channel our inner heart to see their apparent reasoning and finally, be relatable to them. The writing team here deserves a full thumbs up for that. Thanks to a well-written characterization. The disdain was set aside and both Naru and Momiji are now likable. Despite all that great thing I said for the character, there is one thing I absolutely disliked for the treatment of one character. Hoshikawa Hotaru, Nene and Aoba’s friend in high school was treated as if she was an afterthought. 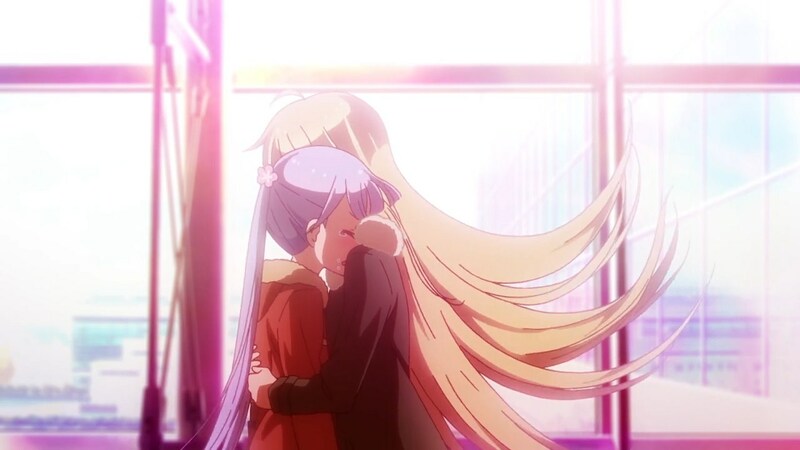 Despite the impact that she had for both Nene and Aoba in their earlier time, she was not given enough screentime for us to understand her character, save for the fact that she looks like Hajime, a lot like her, save for the different hair and eye color. Hotaru was not given any focus whatsoever. There’s more I could say, but the more specific things I said, the more I spoil the story for everyone who read this review. Music were great and continues to impress me as it fits every major scene that it should have accompanied. Animations were smooth as well, and it was colorful enough to saw it very different from any other anime series. Last but not least, the voice actings were great, but not as remarkable as before. However, my complaint remains the same, which is the background. The background, while remaining colorful, remains strictly prohibited at the Eaglejump company, especially the character team’s booth. Sure, the series takes us to a new location once in a while, but it was not remarkable enough. Oh, the development of their second game, PECO, was totally in full-view here and it gives us a little bit more insight regarding the game-development in a company, such as how the people are allowed to pitch in their proposal and if it is interesting enough to the director and sponsor, as well as the higher-ups, it could be developed into a full-fledged game, and regarding the advertisement, and so on. Oh, and I I liked the design and gameplay of PECO and would definitely buy the game if that game ever came up in real life. I liked the game within the series, PECO. 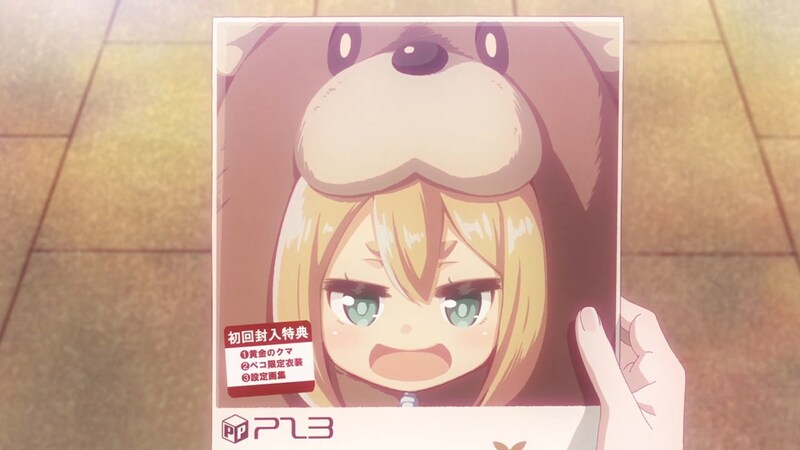 Was it an Umaru teaser? All in all, this was a great second season that really improved upon it’s predecessor. It improved where the first season was lacking a little bit, which is shared character development for the entire cast. Sure the first season was really great at delivering character development, but it is only to some character and not everyone gets their focus arbitrally. 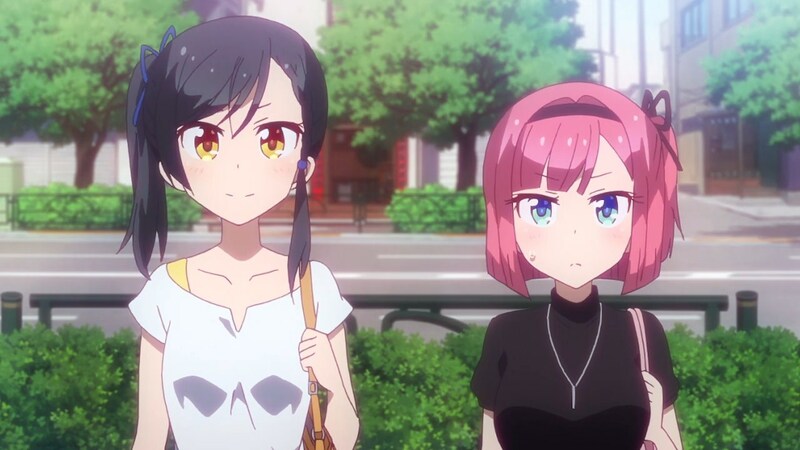 The comedy was toned down due to the newfound dramatic aspect that the series is going for, but it was a welcome addition for the series and the series story was great once again. 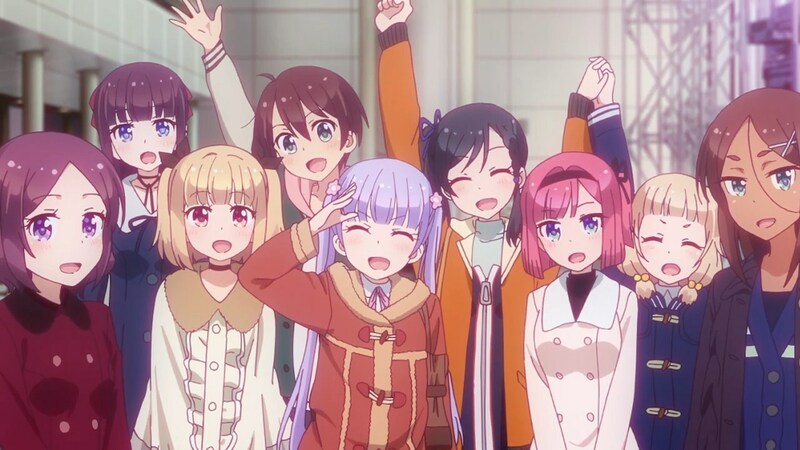 There’s only several things that hampered the series, such as the remaining fanservices and one character being left out, but as a whole, the series is very much a complete one. 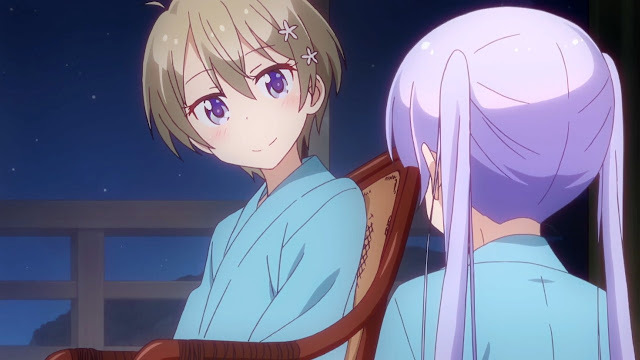 The shift in tone might merit a change in audience as well, since this is no longer a just your typical run of the mill slice of life series, but one with the dramatic spices added. In order to understand the story and character very well, watching the first season is a necessity. All in all, the ambition was realized. Does the series now merits a third season? That is okay, but for now, the conclusion was very well done and serves as a great ending for a great series. The Good: Dramatical aspect of the series was realized upon. Top-class character development that was masterfully done. Storyline was better than before and was well-written. Good comedy. Unlike before, Hazuki did not carry the show from the background and allowed the cast to carry the show themselves. Development of their new game, PECO, was great. The Bad: Unnecesarry fanservice. Jokes and comedy bits are toned down. One character was left out of the development writing. Highlight Moments: Aoba and Yagami working together for their game proposal. Naru's revelation. The ending scene. Honestly, there's too much and if i say more, i'd just spoil even more. Final Score : 4.5 out of 5. The seeds of dramatic ambitions that the series planted early in the series worked very well to make this an even better sequel to the original.